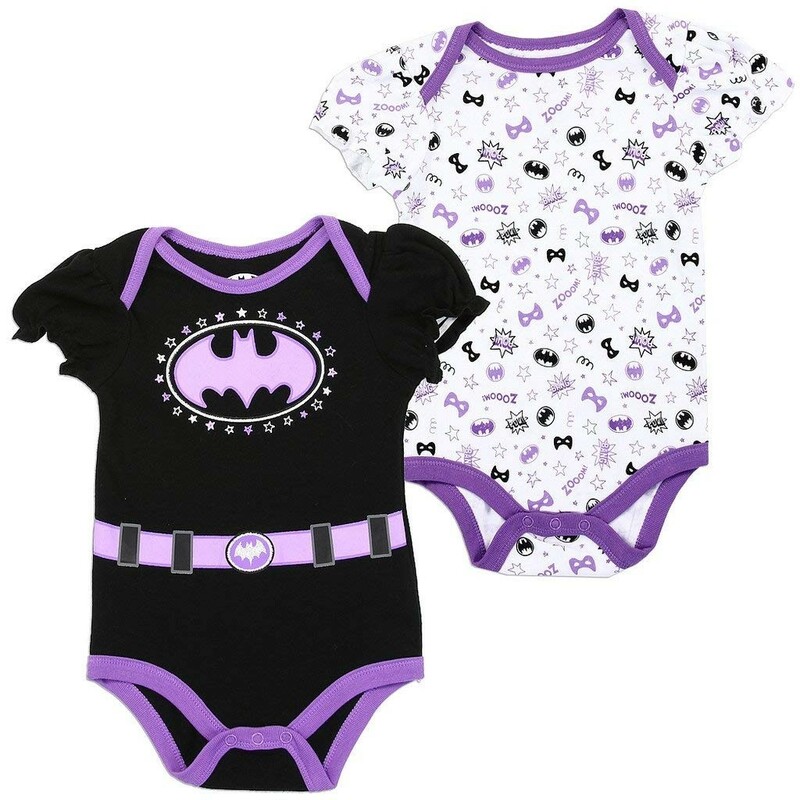 Outfit your little superhero with this two-pack of Batgirl-themed onesies! These 60% cotton, 40% polyester onesies are cozy and comfortable for little ones, complete with snaps at the bottom for easy diaper changes and overlap shoulders to make it easy to get over her head. The set includes one onesie with an allover Batgirl print and one printed to look like Batgirl's suit. Available to fit approximately ages 6-9 months.